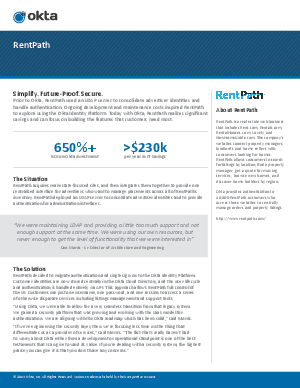 > Okta > Case Study: RentPath. Simplify. Future-Proof. Secure. Learn how RentPath's investment in an identity platform led to more than $230k per year in IT savings.